Welcome to day 29 of the September Video Challenge. 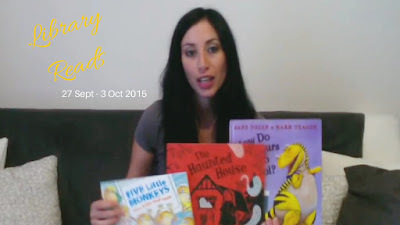 Todays video is the first in a new video series I'll be posting weekly to my YouTube channel, about the books my kids pick from the library each week and what we thought of them. Every week I take my kids to the library to check out some new books. As we live in Italy most of the library is for books in Italian but they do have a good international section with lots of English language books too, so we always get a selection of both Italian and English books to take home. Have you been to the library this week? What books are you reading with your kids this week? Share in the comments below.